ing on to a detailed analysis of the materials. 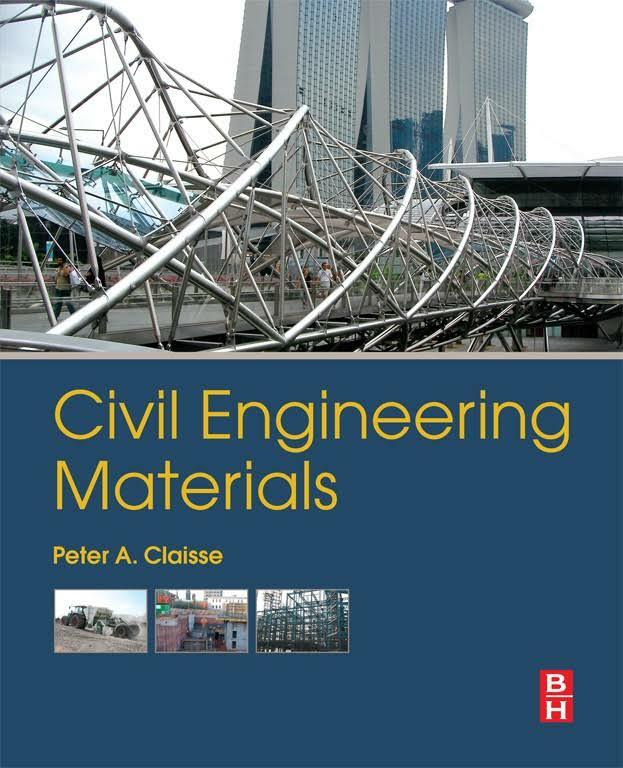 The chapters on the science include mechanical, thermal, electrical, and transport properties of materials, and discuss the basic theory, as well as the relevance to applications in construction. The book then moves on to consider in detail each of the key materials, such as concrete and steel, and to discuss their properties, with reference to the basic science from the initial chapters. analyse, and use information from a wide variety of sources. should be considered at all stages of the design and specification process, so they are discussed throughout the book. details of methods of assessment of published literature. for calculations for the design life of structures, particularly reinforced concrete, for which the durability generally depends on the transport properties. This book presents the basic theories, and equations necessary for these calculations, and gives numerical examples of how they may be applied. show the principles of test methods, so new ones can be understood and applied. Materials cause many problems on site, and are a major area for improvement. There are, however, few simple right answers. Students will find this different from, say, the study of structures, where calculations give just one correct value for the size of a structural member. When considering the correct solution for a problem with durability, there are many different possibilities that may be appropriate for different situations, and the aim of this book is to provide the basis for the choice. the past that are only found in the United States. When looking for a material property on the Internet,the data that is found will frequently come from the United States, and will frequently be in pounds per square inch, or degrees Fahrenheit, or similar units. to use them are discussed in Chapter 1.